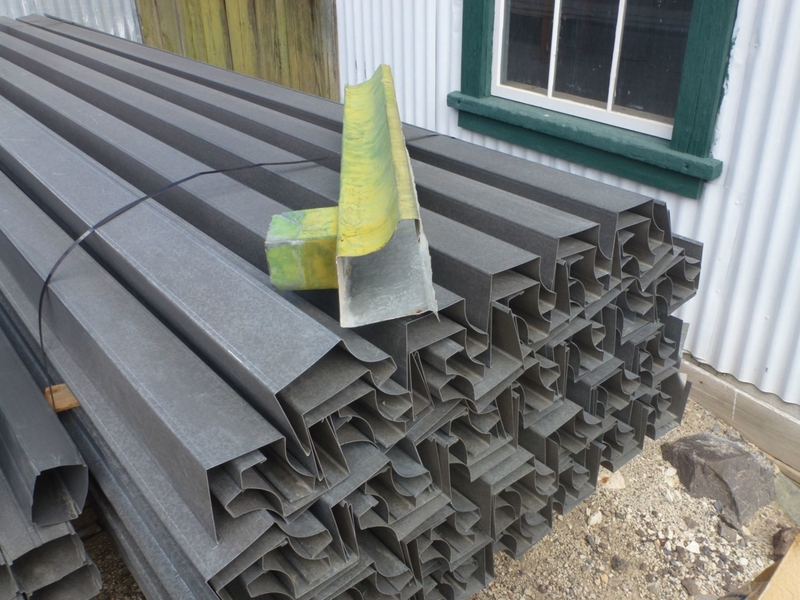 Reproduction rain gutters made for us by an “old school” sheet metal shop in the Los Angeles area. A surviving piece of the original Ryan gutters – shown sitting on the new gutters – was used as a template for constructing the new pieces. Re-installation of the gutters on Ryan’s historic buildings will assist in protecting them by minimizing saturation of the soil below the roof drip lines. And yes, it does rain in Death Valley!